Understanding consumer behavior is an important part of marketing. The way business owner see and expect from consumer behavior is shown by their actions. These beliefs about consumer behavior are normally based hearsay and intuition, since small business owners usually lack the resources need for large-scale consumer expectations survey. A new study from the Local Search Association does a lot of the heavy lifting by showing how consumers use their mobile devices. 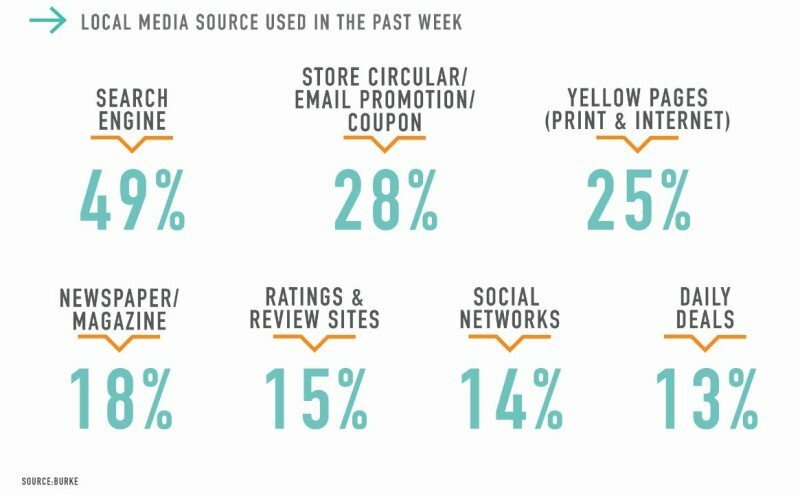 This article will review some of the major takeaways from this study and how marketers can use them. The information comes from a collaboration between Burke, Inc. and the Local Search Association based on 2013 statistics from their annual “Local Media Tracking Study,” The study analyzed the reach of various local media sources across computer/laptop, mobile phone/smartphone and netbook/tablet. The study is based on interviews with 8,000 U.S. adults conducted online and by phone. 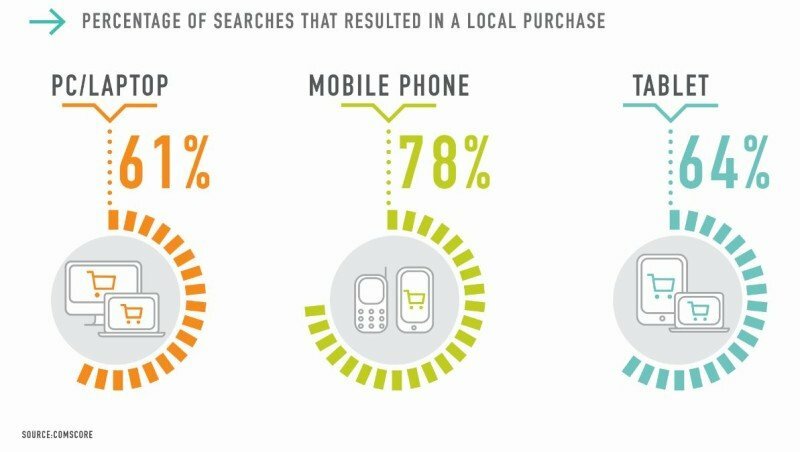 The Local Search Association recently released infographics that highlight data that shows more consumers turn to mobile devices when seeking, discovering or considering local business information. The main takeaway for marketers from this information is that mobile marketing is becoming the prefered channel for many consumers who would once have used desktops and laptops to learn about and engage with companies. This means that mobile marketing isn’t bringing in entirely new customers by reaching people who were previously unreachable. The growth in mobile device usage correlates with a decline in desktop and laptop usage. To illustrate, the percentage of people using computers and laptops for searching for local products and services dropped from 80 percent to 73 percent between 2012 and 2013. On the other hand,le mobile device usage increased from 25 percent to 34 percent and netbook/tablet usage rose from 6 percent to 11 percent. It also important to note that desktops are still the most preferred source for looking up information. However, the clear trend is that desktop computing is becoming less important as mobile marketing grows. Also, searches through mobile devices are more likely to lead to a sale. Searches from mobile devices were more than 20 percent more likely to result in a local purchase. According to the research, 78 percent of mobile phone searches led to a local purchase, compared to 61 percent for desktops and laptops. One of the reasons mobile marketing is becoming so important relates to the technology involved. While there are certainly new technology for TV and radio advertising, mobile devices offer the greatest advantage to marketers. “As customer touchpoints expand, retailers continue to investigate other ways to diversify their marketing spend, including budgeting for increased spend for text advertisements, display ads, social, and attribution models,” said Shop.org Executive Director Vicki Cantrell. Cantrell’s comments fit in with another takeaway from the Local Search Association study. The study found that why search was easily the most popular reason people were drawn to a retailer, there were a lot of marketing options that each brought in a significant amount of business to a company. Mobile marketing can easily be integrated with these other tactics so business owners can offer coupons, use email marketing, promote content on social media and more. This research shows why mobile marketing is so important to small and local business. When looking at long-term trends, it’s clear that mobile devices will become more important than desktops and laptops in the future. Also, the best way to reach a large number of consumers is to a use a diversified marketing strategy. Mobile marketing can help with this because these devices can be used as platforms for email, social and content marketing. For more ideas on how to improve your businesses mobile marketing, read this article with tips on improving a mobile website and this article on improving mobile advertisements.